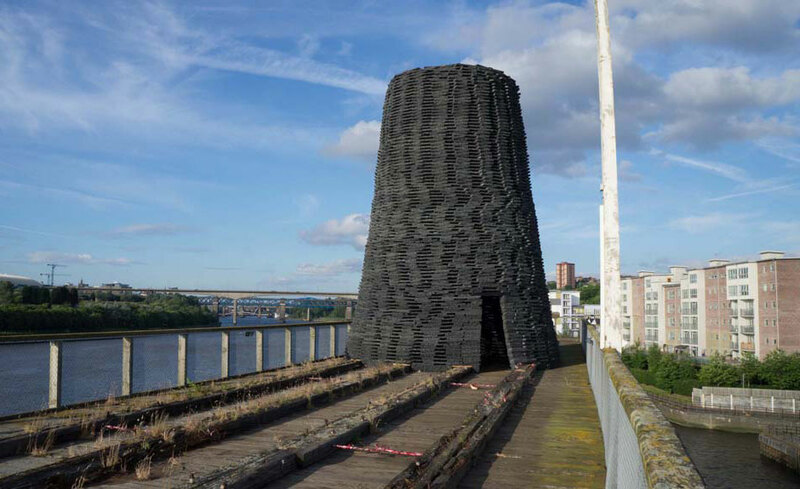 Cone is a new artwork by Wolfgang Weileder situated on the Dunston Staiths, a landmark Scheduled Monument and Grade II structure on the south bank of the River Tyne in Newcastle Gateshead. Cone is the first large scale installation piece that has been developed from the Jetty project: Art & Sustainability a collaborative research investigation funded by the AHRC and coordinated by Newcastle University and Lancaster University. At 9m high and 7m diameter Cone takes as it’s aesthetic influence the shape of the historic coal fired Bottle Kiln that was once an integral part of the industrial heritage of the North East of England. 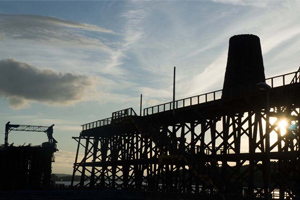 Placing the Cone on top of the Dunston Staiths reinforces the historic significance of industrial change and the sustainability debate. Cone creates a temporary, inhabitable space that is both a sign and a symbol of what is past and what is the future for the interpretations and debates of public art in the context of sustainability. “Through artwork such as this, we’re looking at how fine art projects can make a meaningful contribution to the debate around urban sustainability as well as being exciting works of art in their own right,” says Weileder, Professor of Contemporary Sculpture at Newcastle University. 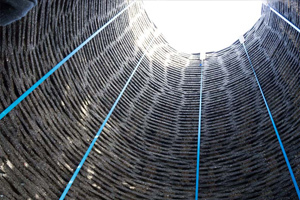 Cone is constructed from Aquadyne a 100% recycled material that is manufactured solely from waste plastics. 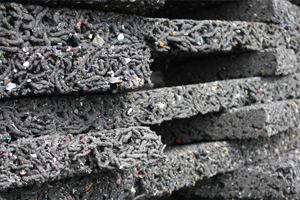 Used largely in the building industry as a drainage product Aquadyne is environmentally friendly and carbon positive.